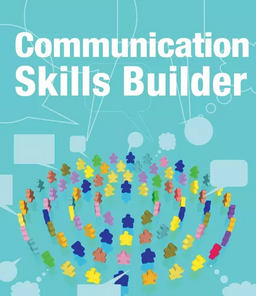 We all have to communicate with our peers, subordinates, seniors, internal and external customers, which makes effective communication skills a must-have.Think "Communication Skills" and all our thoughts focus towards speaking and language skills, academically related and mostly used in our personal lives. More than often, we ignore its value and importance in our profession and at our workplace. Success at building strong interpersonal relationship through effective communication is an extremely valuable asset for any individual aspiring to make it to the top. Interpersonal skills helps one to communicate not only at the business level but at a personal level too, thus taking the relationship a notch higher. It is useful in building bonds and helps employees to find common ground. This is a skill that helps us to navigate our way through daily meetings, one to one discussions and brainstorming sessions. Clear and articulate speakers are usually the most effective as they reflects their uncluttered thoughts and leave no ambiguity in the listeners' mind. Since attention spans are becoming shorter, it is always a good idea to put one's thoughts in a clear and concise manner, focusing on the most vital segments of the conversation. The day of a busy corporate executive is filled with meetings, video conferences and of course, presentations. It could be a presentation of ideas, information or product details, either to an internal team or to a potential customer. A good presenter uses anecdotes, stories and references to make a presentation impactful and moving. The entire focus is on getting a desired outcome by influencing the audience in a positive manner and is a part of effective communication skills. Eye contact with the audience, a relaxed attitude and a dash of humor are all important ingredients of a memorable presentation. This skill ranks topmost in the list as the ability to listen, understand and reciprocate to other's views, considered to be quite an essential one in the corporate world. Listening shows that the other person's opinion are important and you are willing to consider them, while being open to new concepts and ideas. While speaking, an active listener will always pause for the audience's response, repeat it and also ask questions that confirms their involvement in the ongoing conversation. Modern businesses are heavily dependent on email communication, presentations and social media. Writing clear and accurate emails is surely a great skill all employees should possess, irrespective of the business function one is associated with. You should be able to focus on the important points without rambling and using unnecessary words or repeating them. It is also important to use an appropriate tone without getting too casual as this could ruin a perfectly good business association with a potential customer.